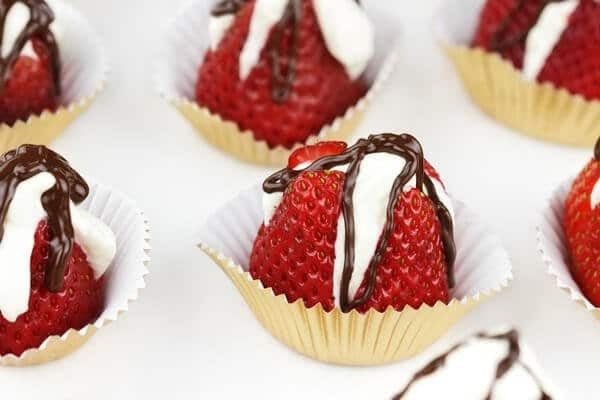 When I was just out of college, a friend brought some lovely, delicious cheesecake-stuffed strawberries to a summer party I was hosting. I wasn’t quite sure where she had learned to be such a pastry chef in the short time since we had taken our last nursing exam! Imagine my delight when I realized that, unlike some things Martha Stewart shares, these are actually super simple to make. 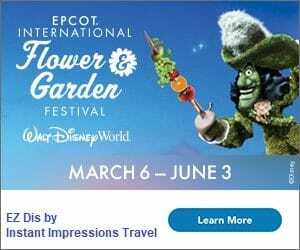 I’ve taken them to several events since, and they’re always a big hit! 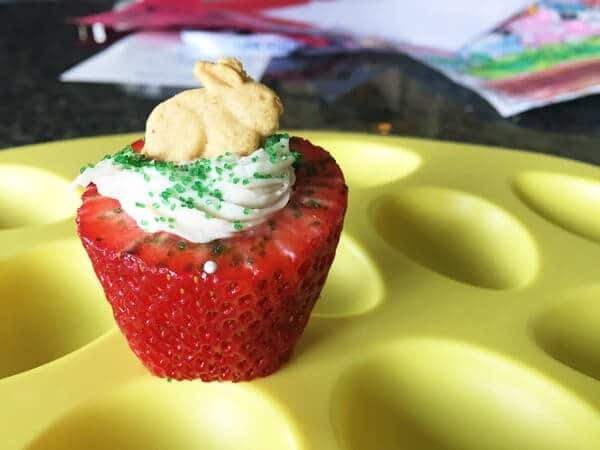 A couple of years ago, I saw a snack sort of like Teddy Grahams, but in these adorable bunny shapes; I knew I had to figure out how to use them for my daughters’ Easter party at school. Combined with one of my favorite simple dessert options – and one that parents would find moderately healthy, to boot – and it was an easy choice. 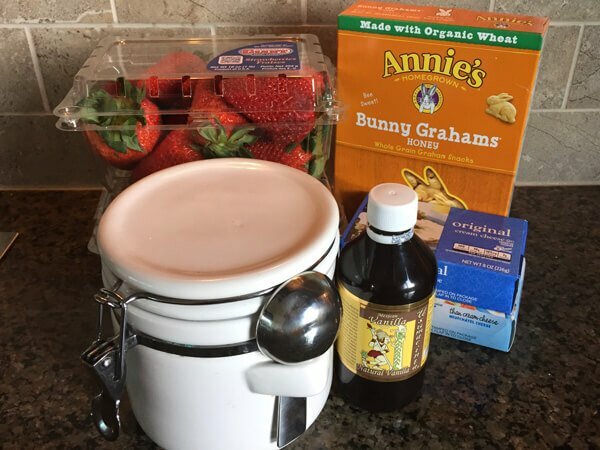 You’ll only need five ingredients: strawberries, cream cheese (8oz for each pound of strawberries), confectioner’s sugar, vanilla extract, and Annie’s Bunny Grahams. 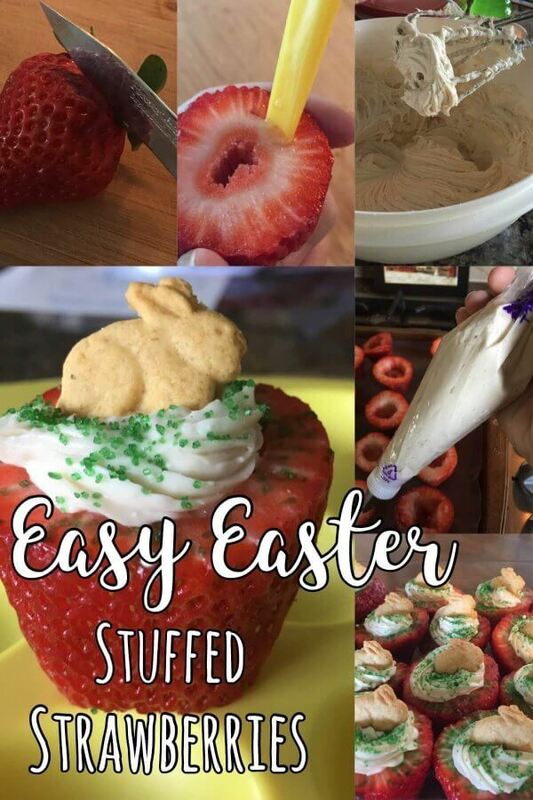 Super Simple Cheesecake-stuffed Strawberries – with an easy Easter twist! It’s like a little strawberry patch full of bunnies! ? After washing your strawberries, cut off the tops. Cut off the tops and bottoms of your clean strawberries. Next, cut off just a small portion of the bottom of each berry. 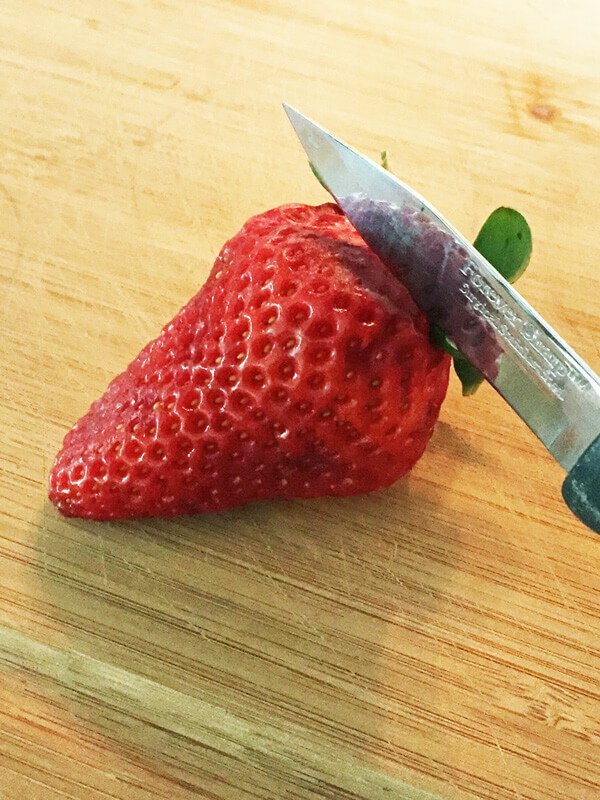 I mean, I suppose you can cut the tops and bottoms of each strawberry at the same time, if you want to make things simple. 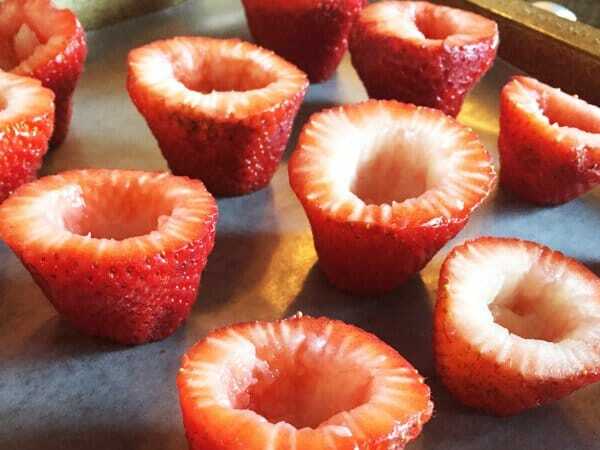 This is an important step though, so your cute little strawberry cups will stay standing! You should probably take care to cut the bottoms AND the tops evenly, lest they look like these. 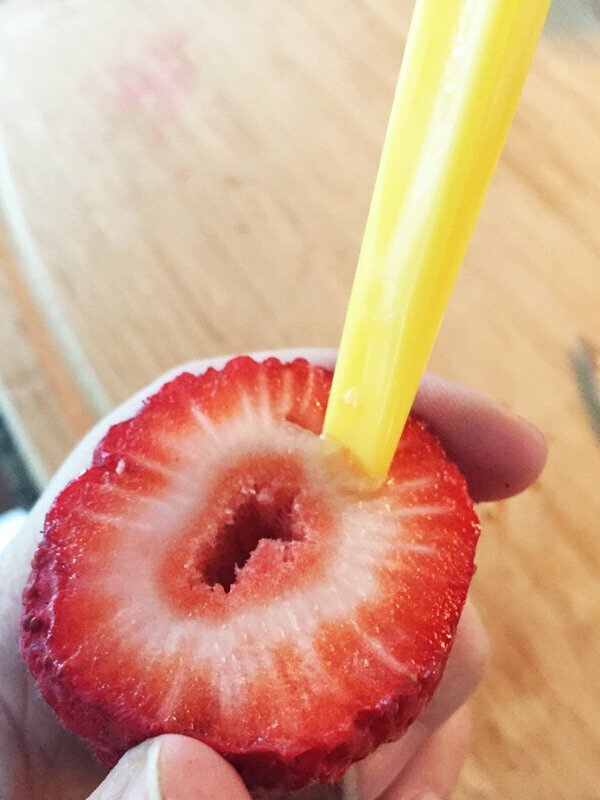 Many recipes suggest using a melon baller to hollow out your berries. Even with pretty large strawberries at our store, I can’t imagine that such a tool isn’t too big. I chose instead to use the back of an orange peeler to “cut” around the white circle and scoop out a bit of the fruit. Your strawberries are ready to be filled! 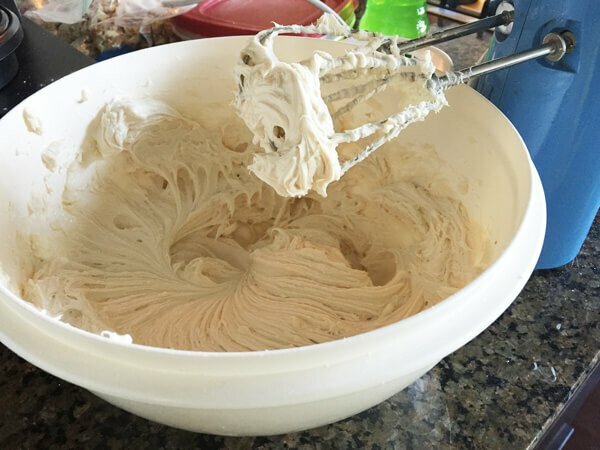 The cheesecake filling is easy to make, and creamy enough that a hand mixer is more than sufficient. I considered tinting the filling green, which might look cute as both “grass” for the bunnies and “leaves” for the strawberries. Then I got lazy, and just chose to sprinkle some green sugar on top. If you tint yours, I’d love to see it! 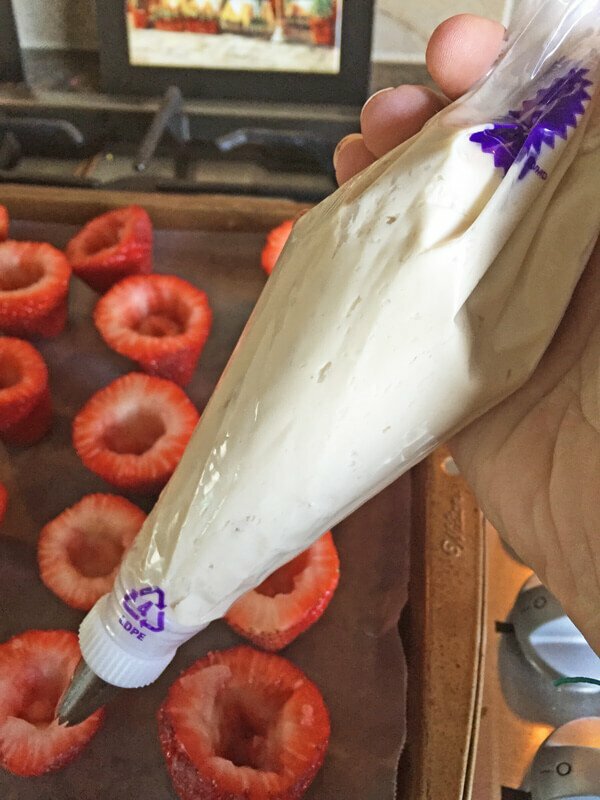 Using a pastry bag and large star tip, fill each strawberry. Alternatively, you can cut the tip of a sandwich bag for similar results. 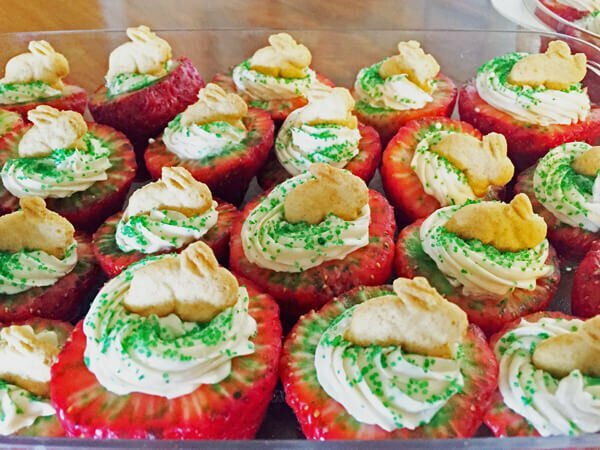 Top each filled strawberry with a bunny (or other graham cracker snack – even graham cracker crumbs), and watch them disappear! Previous Post: « Is the 2017 live-action Beauty and the Beast better than the animated classic?